This is an article from a brother from Kappa Sigma Fraternity at Eastern Kentucky University. A donation to his fraternity was made on his behalf for this submission. Go here to learn more about this program. 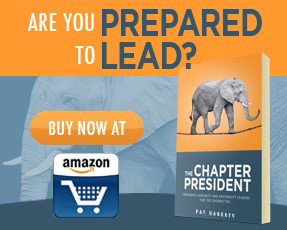 As a president of a fraternity I understand that motivating members can be a hard challenge. After all, one reason officers take the challenge is too better their members for the rest of their lives. That may seem like an impossible task, but I have a bit of a solution to this leadership problem. I know many fraternities that have already unraveled the secret of the point system and positive encouragement. The past leadership of many fraternities get into a mode of scorning those members who persistently do not show up to events. Members begin to feel apathetic because they were being treated like two year olds. No one likes the “come to this event or you go to timeout” kind of thing. As soon as I became fraternity president I told my officers that we would no longer be scorning those that didn’t show up to events. I did not like the idea of fines, and let’s be honest, telling people to show up to something doesn’t make them have fun. From that moment we began working on a point system that encompassed every event in the Greek community, and even some outside it. There is a certain number of points that members have to earn, those are called critical points. Events, such as rush, are rated on a much higher point scale than a social event. At the end of the semester each member, if they attended every event possible, the brother will earn 30 dollars credit towards their next semester’s dues. If they did not attend enough they will have to pay a small amount. This encourages brothers because the focus is on the points. We have contests, which also help, and during formal we announce a most active brother based on highest points earned. The goal is to always stay positive. Elect a fraternity president that has a positive look on life. I am in no way organized, but my men look up to me and I respect them in return. I would say that is a sure sign of a fraternity leader.